Almost all blackjack players cannot resist a temptation to become good card counters to have more chances and opportunities to win. Is blackjack card counting considered a cheating? Technically not. This is your legal way to become a winner. And that is why casinos are somehow afraid of card counters. If you are noticed while counting you can be asked to leave the table or change a game. There are a lot of stories when good card counters won millions by their skills. How does blackjack card counting actually work? A fresh deck of cards at the very beginning of the game is counted as 0. And during the game you will count all the cards as a zero except an Ace and a 5. After that you add 1 point for a 5 and you subtract 1 point for an Ace. This is about Wizard’s Ace Five Count. Other counting systems differ by the cards which you give points to and the cards you do not give but subtract points from. For example, Hi-Lo Count implies that you will add 1 point for 2-6’s of a deck, subtract 1 point from 10’s, Jacks, Queens, Kings and Aces of a deck and give zero (0) for 7-9’s of a deck. And still if you want to know more about this game might also want to try on searching internet blackjack sites for you to have more adequate knowledge in playing this game. It was a very wrong belief that only a dealer and a casino could be winners at blackjack. And even if you are good in cards a casino will never play for its loss. But it is not true. And there was a person who proved it when wrote a book “Beat the Dealer”. This person’s name was Edward O. Thorp and he wrote this book in 1962. He described there the system how it was possible to beat a dealer in a legal way, using mathematics and good memory. There are cards in a deck which are good for you during a game and there are cards which are good for a dealer. And your task is just to determine them somehow in order to know what cards are left in a deck. Thorp showed how it was possible to do. There are also some other people thanks to whom Blackjack fans have an opportunity to increase their winnings now. Do not forget about Roger Baldwin, the author of the paper The Optimum Strategy in Blackjack. He was the first who tried to describe the usage of mathematics in the game of blackjack. His article has changed the history of blackjack forever. 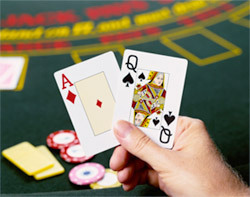 MIT Blackjack Team – a group of card counters who earned lots of money by card counting. Ken Uston is a card counter famous by introducing a counting device. He is also the author of the book The Big Player where he described all his experience of playing blackjack. 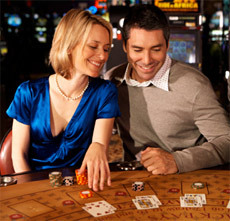 Is it possible to learn card counting?